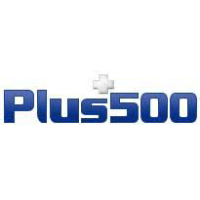 Plus500 Ltd (LON:PLUS), a leading online service provider for trading Contracts for Differences (“CFDs”) internationally, today provides a trading update for the three months ended 31 March 2019. Financial markets provided limited trading opportunities for current and new customers in the first quarter. It is impossible to predict market conditions for the rest of the year and therefore too early to draw conclusions about the full year outcome based on the Group’s performance over the first three months. Underlying operational performance and new customer acquisition remain robust. Plus500 remains extremely agile and will seek to adjust its offering and marketing investment rapidly to exploit market opportunities as they appear, and the Company’s low-cost base will allow it to maximise returns from any incremental revenues. We are also working actively to extend our global footprint and to continue to diversify revenues through growth in current territories and the addition of new operating licences.